The new Power Rangers movie blew me away. I saw it last night and loved it! I had a vague idea of what to expect based on the trailers and early reviews, but the film exceeded all of my expectations and delivered an exceptional thrillride of nostalgia and awesomeness. It might help that I was a huge Mighty Morphin Power Rangers fan when I was a kid. And as that fan, I couldn’t be happier with the new, modern re-imagining. 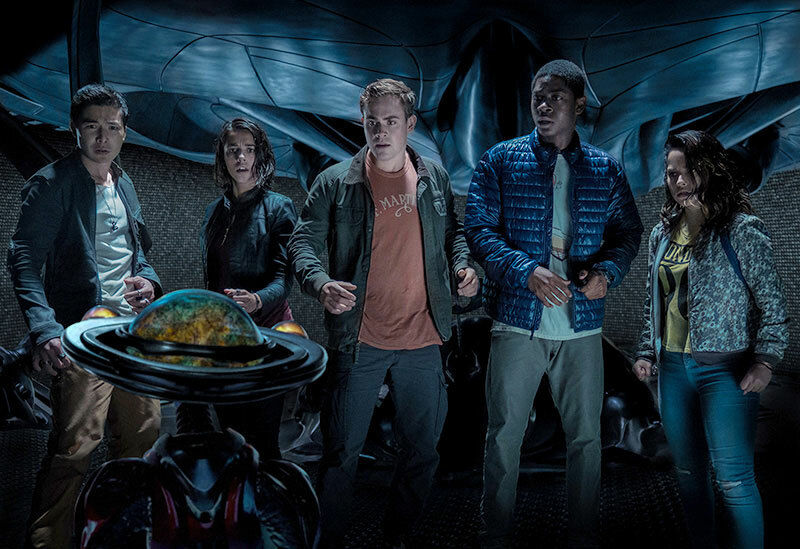 Especially when it comes to the diversity in the cast, because I think Power Rangers was near perfect in building and fleshing out its characters. 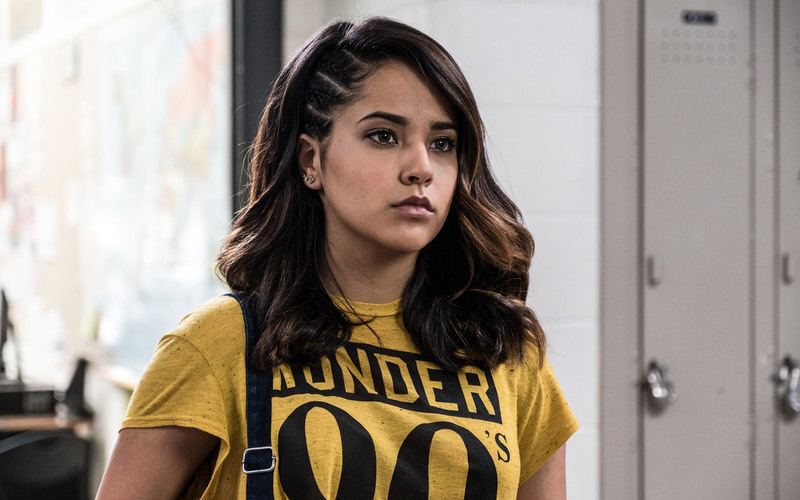 There have been a lot of reviews and think pieces written about the Power Rangers movie so far, especially after the producers made a big deal that the Yellow Ranger, Trini, is gay. This makes her the first openly LGBTQ superhero in the entire superhero genre, which is a pretty notable step forward, even if Power Rangers is an unexpected choice for that distinction. I’ve seen people decry how underplayed the moment is in the movie, and I’ve seen people decry that it’s not a big enough step forward. As someone who loved the moment and the diversity as a whole in Power Rangers, I wanted to throw my two cents onto the pile. So join me after the jump for why I think Power Rangers gets diversity so right! There will be some SPOILERS for parts of the movie. As always, you’re welcome to take my opinion with as large a grain of salt as you want. As a straight, white male, I can’t even begin to understand what diversity in entertainment means for the people actually effected. 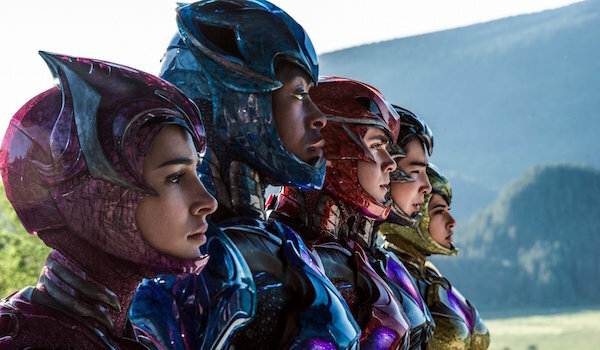 The straight, white male character is still the leader of the Power Rangers in the movie, after all. That being said, I’m a big proponent of diversity in entertainment and I try to stay abreast of important developments. Exposing their faces while in costume? Blasphemy! I think the Power Rangers movie is an important development. It doesn’t lead any sort of charge, but it’s a nice step forward. The movie accomplishes this with two big ideas: 1.) These characters are people first, superheroes second, and 2.) Their diverse characteristics are not the defining aspects of their characters. Longtime readers of my blog will recognize that first idea as my defining requirement of superhero stories. Power Rangers gets it exactly right. Yes, the Megazord vs. Monster stuff is great at the end, but we’re not going to care about the big battle if we don’t care about the characters first. That’s storytelling 101. As great as the Power Rangers aspects of the film are — the morphing, the Zords, etc. — I think the movie does an even better job at building and developing the Rangers as people, first and foremost. They don’t even morph until the climax of the film, because a large part of the story is about them coming together as friends and teammates. And since they’re all moody teenagers with various moody teenager problems, the movie gets a lot of mileage out of them opening up to each other, sharing with each other and learning about what makes them special, both their similarities and their differences. The Breakfast Club parts of the movie are damn good. They even have Saturday detention! First of all, the people behind Power Rangers made the right decision in shaking up the ethnicities of the main characters. Back in the original show, the black guy was the Black Ranger, the Asian girl was the Yellow Ranger, the other girl was Pink Ranger; you get the idea. It was never addressed on the show, but we could all see what was going on. College Humor did a nice sketch on it. So it was a great idea to shake things up. The black guy is no longer the Black Ranger and so on, for the most part (the girls are still pink and yellow). 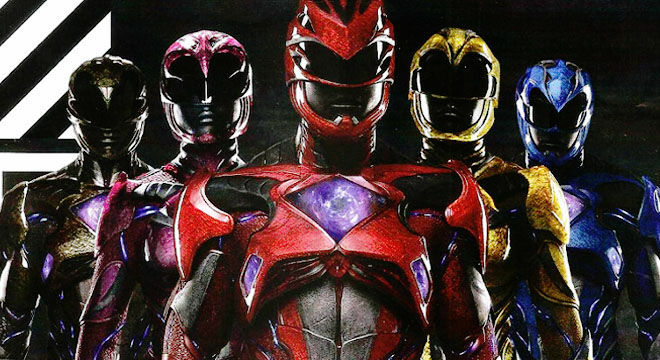 Beyond that, the movie adds a lot of diversity to the Power Rangers cast. Billy, the Blue Ranger, is on the autism spectrum. It probably suffers from Hollywood’s definition of ‘autism’, but the film doesn’t turn Billy into someone deserving of ridicule because of his autism, nor does it mine the autism for cheap jokes. Billy mentions it once, in a nonjudgmental scenario, and then nobody ever talks about it again because they don’t need to. Being autistic is just part of his character and, in many ways, makes him more relatable. He quickly becomes the heart of the team. Not because his autism masks him a mascot, but because he’s a good and caring person, who just happens to be on the spectrum. The same is true of Trini’s sexuality. I think the movie handled this perfectly. It’s a small scene, but that’s all it needed to be. About midway through the movie, when the team is having trouble forming a meaningful bond, the teens decide to build an impromptu campfire and just hang out. Constant training has not united them the way Zordon would like, instead fraying their last nerves. So they relax, kick back and just chill around the fire, which works even better than constant fight prep. Over the campfire, the Rangers start opening up about their drama, because they realize they need to trust each other and be honest with each other if they’re going to properly bond. And it’s here we learn that Trini seems to be questioning her sexuality — which is what the “Q” stands for in LGBTQ. Maybe he’s a lesbian, maybe it’s something else. The film is subtle about it, and that’s how it should be, because Trini herself doesn’t know. She’s only a teenager. She’s trying to figure it out, but she hasn’t really been able to express herself until now. And she hasn’t been able to because being LGBTQ is not the defining characteristic of her character. She’s not a token anything. Trini’s broader teenage problem is that she’s having trouble connecting with her idyllic family. She’s got a mother and father who both want to be part of her life, and two seemingly nice little brothers. They all sit down for meals together as a family and the parents try to ask her about her day. Trini seems to believe that her parents want her to fit into some perfect, idyllic mold, but she can’t do that in part because she’s questioning her sexuality. But also because, for whatever family reasons, they have had to move three times in the past three years. So Trini hasn’t been able to settle down in any new school and make any lasting friends. This also contributes to her teenage drama. She feels like an outsider and has the hardest time connecting with her fellow Rangers and this big, crazy adventure they’re on. Trini doesn’t feel like she can talk to her parents about her sexuality, and she hasn’t been able to make any friends to talk to about it. So when the opportunity comes to talk to her new Power Rangers friends, she’s hesitant at first. She doesn’t just come out and say anything, but dances around the topic and lets her new friends put the pieces together themselves. She wants to talk about it, but because of the whole of her character, she can’t yet. I felt the dialogue was really well-written during the scene. And what’s even better is that the movie doesn’t solve any of the Power Rangers’ personal problems! Just like Billy’s autism, Trini’s sexuality is never mentioned again outside the campfire scene. Nobody remarks on it, nobody judges her for it, none of the other Rangers question whether they can be around a gay person. There’s no cutesy moment where the Yellow Ranger saves a pretty girl and sparks fly. Trini doesn’t find the answers to her questions in this movie. One of her big moments is when Rita Repulsa sneaks into her bedroom at night and ties to use Trini’s outsider status to get Trini to work for her. But Rita doesn’t seduce Trini. She doesn’t bring up Trini’s questioning. That’s not part of Rita’s plan at all. And instead of doing a scene where Trini, the LGBTQ character, might entertain Rita’s ideas and betray the team, the very next scene in the movie is Trini telling the other Rangers that Rita tried to recruit her and that they need to work together and stop her. Her sexuality isn’t played for laughs. It isn’t sexualized. It isn’t used to shade Trini as a possible traitor. And the movie doesn’t give it any quick resolution. By the end of the film, Trini is happier and in a better place, but that’s because she has friends she can depend on now, and just saved the world. Those are both pretty cool things. 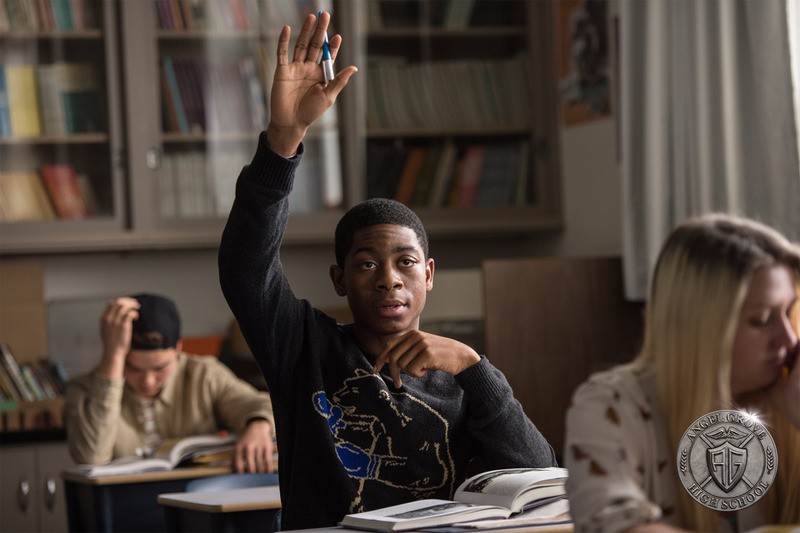 This might just be me personally, but I loved how the diversity was handled in the Power Rangers movie. None of their diverse attributes are the defining characteristics of any of the Rangers. They’re just part of who the characters are, and will hopefully be part of any ongoing saga, should this film get a sequel (I hope!). Power Rangers is a great film that puts a lot of emphasis on fleshing out their heroes before making them super. Once they get that right, everything else is just fun. Posted on March 24, 2017, in Movies and tagged Mighty Morphin' Power Rangers, Power Rangers. Bookmark the permalink. 1 Comment.